Immediately after Christmas, I grabbed the Jawoll sock yarn that Caleb had given me for Christmas and began knitting a sock. I had finally reached the point in my knitting skills where I could cast on using Judy’s Magic Cast On without Connie Jo’s help which was a huge step for this previously non-sock-knitting knitter. However, the yarn that Caleb chose was a self-striping yarn which meant I had to figure out Connie Jo’s way of recording where in the yarn to start each sock so that the socks are identical. Another huge step for this previously non-sock-knitting knitter. I very carefully recorded where in the color change I was starting the first sock, measured back 40 inches for the cast on and began sock #1. After finishing the first sock, I tried my best to begin sock #2 at the same spot in the yarn . . . AND I DID IT! I am almost finished with sock #2 and they are matching perfectly! I guess I am not a non-sock-knitting knitter after all. Once again, Christmas has come and gone. 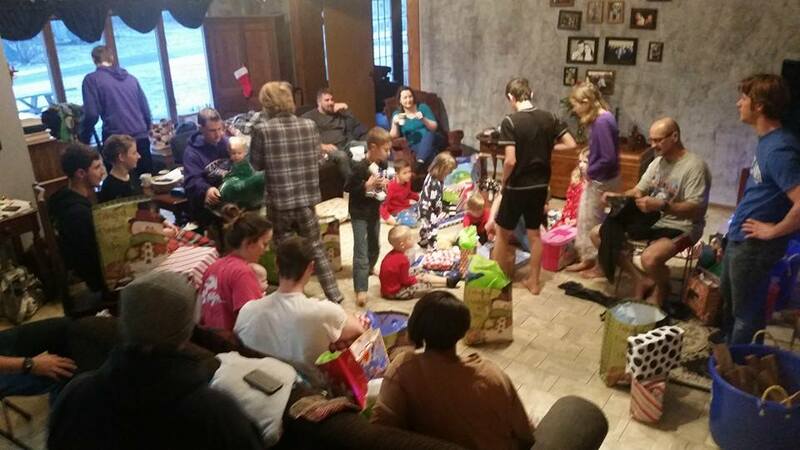 Once again, the presents are opened and the mess is cleaned up. Once again, all those projects that you and I worked so hard to finish in time for the big day were not only completed and wrapped in time, but are now being used as we dreamed about during all those knitting/crocheting hours! My daughter, Charley, loved her socks, Taycee loved her knitted towels, washclothes and bibs, Bethlehem is wearing her new hat, and on and on and on . . . and traveling with my oldest son, Logan, to his Naval base in the state of Washington is a huge knitted blanket!